1. 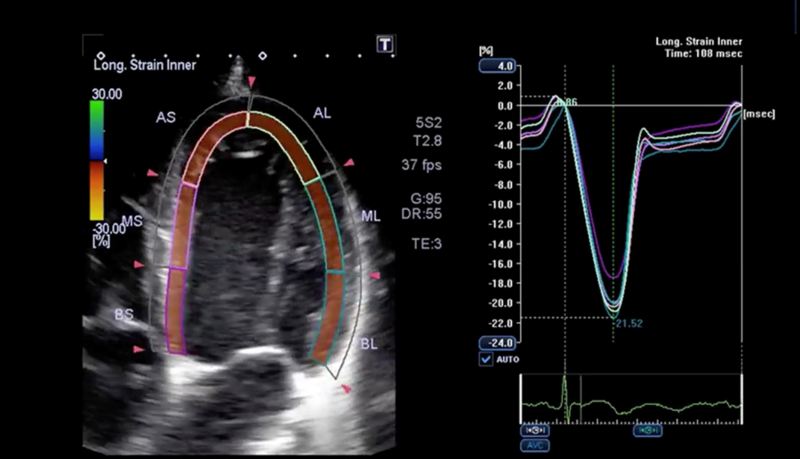 Speckle tracking echocardiography is not ready for prime time in the ED. It was not very sensitive or specific for the diagnosis of acute coronary syndrome in this small retrospective study. 2. More work needs to be done to see how this modality could help with the diagnosis of acute coronary syndrome and other cardiac pathology in the acute care setting. 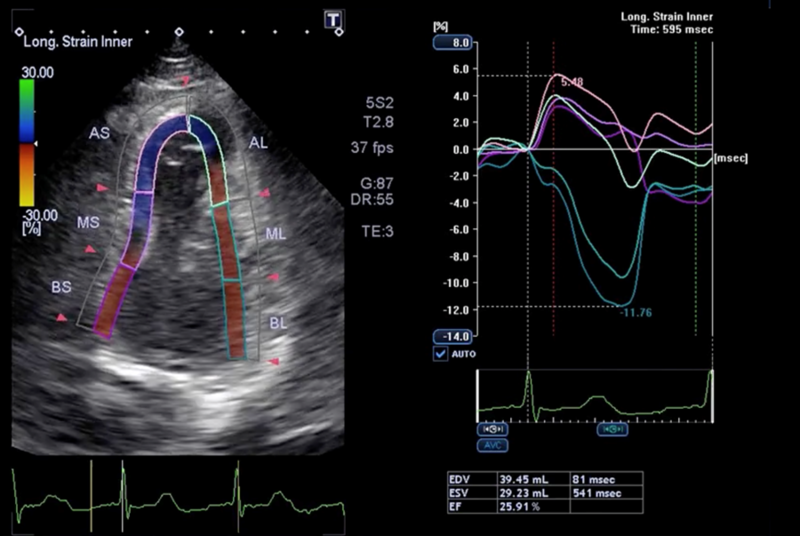 If you haven’t heard of speckle tracking on echocardiography - it is a pretty cool idea (see this brief video if you have no idea what this is). Speckle tracking is a technology that allows for an accurate quantification of the motion of the myocardium throughout the cardiac cycle. It finds identifiable areas of the myocardium so it can follow the motion over time, tracing the magnitude of “myocardial deformation”. It can therefore be used to detect many pathologies. Among the uses is identifying regional wall motion abnormalities caused by coronary ischemia. At face value, this seems like a great solution to a problem that we have. Unfortunately, electrocardiograms (ECGs) don’t identify all cases of coronary occlusion. Also - just eyeballing for wall motion abnormalities isn’t that accurate either. 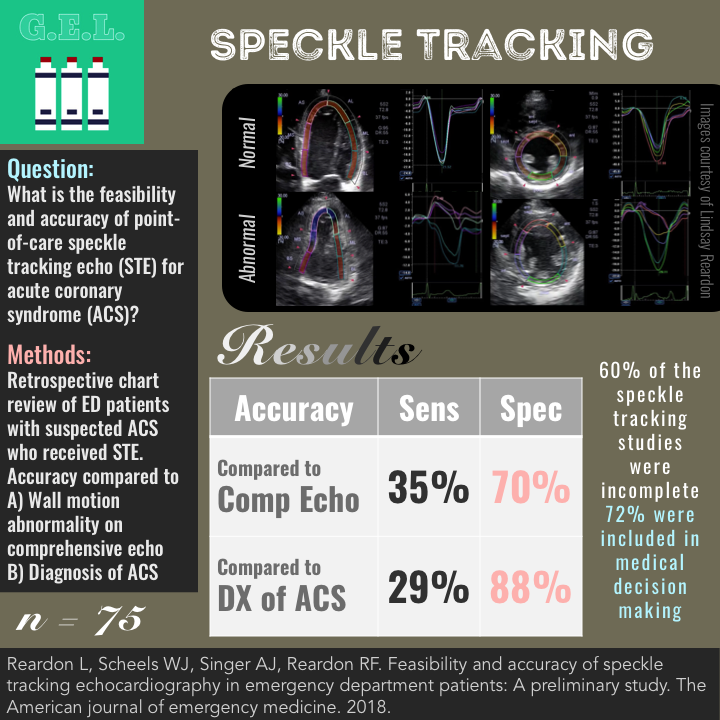 So maybe this Speckle Tracking echocardiography (STE) would be of use as a point-of-care study to help identify patients that need more emergent revascularization when acute coronary syndrome is suspected. Granted, many people don’t have this capability on their machines, but the technology is available on many point of care machines now. There has been very little data on this to date, so this study breaks the ice and explores how this fascinating technology can be used in this emergency department population. How is speckle tracking technology being used in the ED? What are the test characteristics of point-of-care speckle tracking echocardiography compared to comprehensive echo or final diagnosis of acute coronary syndrome? Collected information on laboratory results, bedside echocardiogram interpretation, medical decision making, admission or discharge diagnosis, cardiac treatments, comprehensive echocardiogram interpretation, cardiac catheterization results, follow up, readmissions, deaths at 30 days. 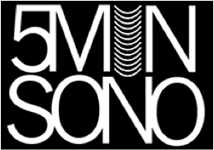 From ultrasound database, they collected information on indication for the exam, the operator, the attending and the numbers and types of views obtained. Based on the patient's ECG tracing, the ultrasound system identifies mid-systole and the provider manually traces the endocardial border. The computer then assigns speckle regions and calculates systolic strain for 16–18 segments of LV, depending on the manufacturer's software. This result is displayed on a linear graph as percent change over time (x-axis is time and y-axis is percent strain with green hashed vertical line representing aortic valve closure) and quantifies myocardial deformation. 187 studies reviewed, 104 excluded for only single speckle tracking window, 7 excluded for missing parasternal or apical window specifically (needed both of those). Since this is retrospective, we have no idea how many patients were not included for any number of reasons - not getting an echo, not getting speckle tracking, not having all of the views, etc. Therefore, there is a lot of potential for bias in the population included in the study. Criterion standards. Two standards were used here. While we would prefer a single primary outcome, both of these comparisons are useful. There was no time recorded between the POC STE and the comprehensive STE so that comparison is questionable. However, what we really care about is identifying those with occlusive myocardial infarctions who would benefit from reperfusion. In this case, only 16% of the complete studies had a catheterization. The remainder of the ACS cases must have been based on troponin or clinical diagnosis. With 60% of the speckle tracking studies excluded because they were incomplete it certainly makes the feasibility questionable.The authors mention that current literature advocates for obtaining 6 STE views (apical 4,3, and 2 chamber as well as parasternal short axis at three levels), which no body did in this study. It's likely that all of these views are not necessary in the emergency department but adding more views would likely reduce the feasibility even more. Furthermore, we don’t know how many exams were performed in which the speckle tracking feature could have been indicated but was not able to be used. This is preliminary. There is still a lot to learn about how to use speckle tracking. Obviously, we are limited in a retrospective study, but it would have been great to compare to some other standard of care for these patients. Is accuracy improved compared to standard POC echo? Did it improve compared to treatment without any ultrasound? Could it be one data point used in determining if early catheterization is needed? Patients in this study were those with fairly high pre-test probability for ACS. 77% were admitted. 39% had final diagnosis of ACS. Unknown how well this test would perform in lower risk group. 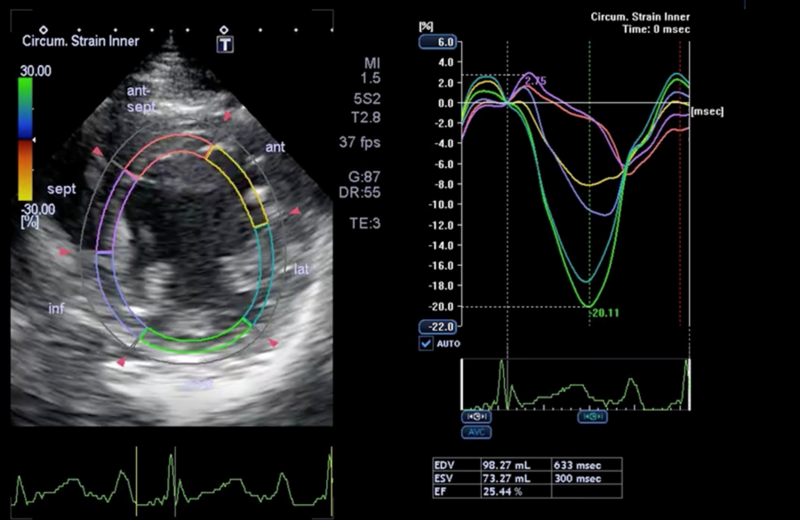 Authors mention that using a set number for abnormal strain (such as the 18.5% lower limit set by American Society of Echocardiography and European Association of Echocardiography) might increase accuracy and decrease variability among sonographers. Maybe only parasternal short axis views could be used in the ED as a more sensitive screen. That way people would not need a perfect apical four chamber. This might help feasibility and sensitivity. On the other hand, there is some literature that the longitudinal strain in the apical 4 or 5 chamber may be superior to the radial and circumferential strain seen in parasternal short axis. 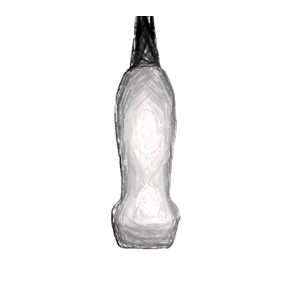 There are many other pathologies that might benefit from speckle strain. So even if it doesn’t pan out for ACS - don’t count it out yet. Might help for pulmonary embolism, heart failure, sepsis and other pathologies encountered in the acute care setting. Zach is an Emergency Medicine physician and director of EUS and the EUS fellowship as well as co-chair of the system wide PoCUS committee at Dartmouth-Hitchcock Medical Center in Lebanon, New Hampshire. 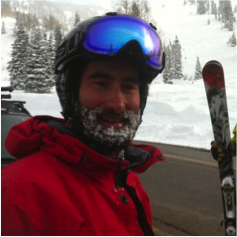 His areas of focus include ultrasound in medical education and system wide PoCUS. Technology is rapidly advancing and computational packages such as auto-VTI, auto-IVC ect are making these complex measurements easier and much quicker! 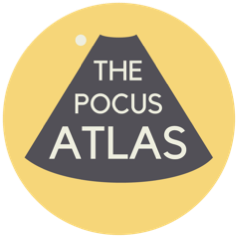 I don't feel this projects a bleak outlook for PoCUS. Instead we must consider how physicians best leverage this emerging (inevitable) technology to our advantage and develop pathways to make these truly advanced applications more attainable. I have not heard a lot about this in our community though we appreciate technology’s encroachment. I fear if we ignore the potential downsides to this tech boom, we will have little say in how PoCUS tech is developed and integrated into our practice (or have it overtake our current provider lead model if not careful)! Medicine is not immune to the “tesla (car) effect.” More practically speaking for our learners, as mentioned in the article discussion, high quality views are paramount for good computation and analysis as well as provider interpretation. It is extremely important for our learners to acquire solid basic PoCUS skill in order to obtain the crisp images under the correct clinical circumstances. As much as it hurts to say…we are on the verge of an age of machine learning where it is supremely important we identify, embrace, and master those patient care skills which cannot be replaced.